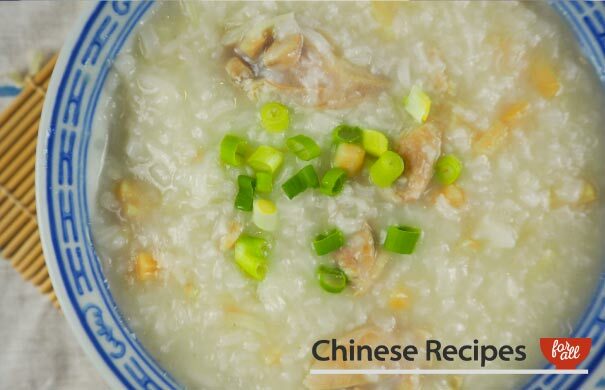 A great recipe, congee is a Chinese version of savoury porridge or broth. 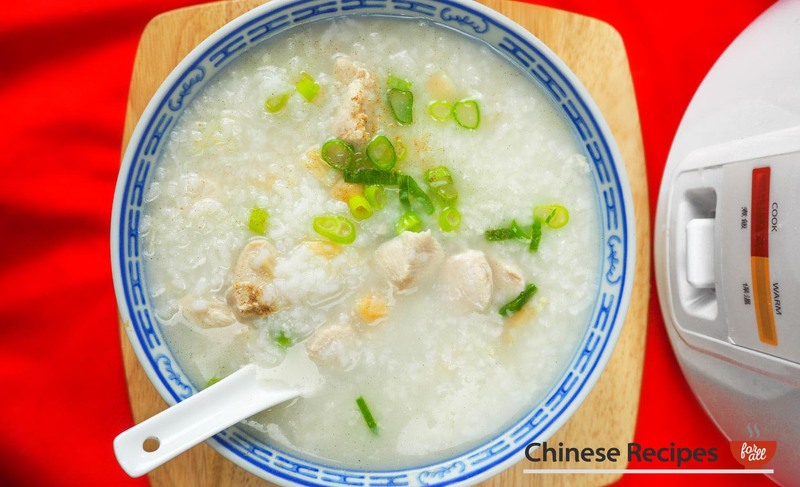 It needs very little rice to make and the 'soup' takes in the flavour of whatever you put in and is just so delicious. 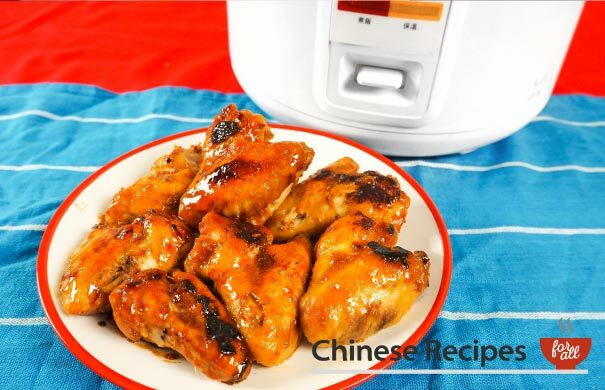 Wash the rice in the rice cooker bowl. Wash and drain the water repeatedly until the water runs clear, this can take about 3-4 times. Prepare the chicken breast, ginger and spring onion. Prepare the dried scallops by immersing them in a bowl of warm water. After 30 seconds break them up with your hands so that you get strips. 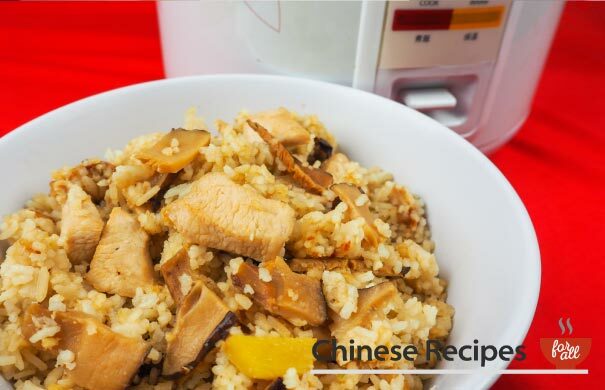 Add water to the rice in the rice cooker bowl. Then add the chicken, ginger and dried scallops. Close the lid. Cook for 25 minutes. Give it a stir to feel the consistency. It should feel quite runny without too much water left. If it's too runny, leave for another 3 minutes and check. If it's too thick or gets too thick then add water and stir and leave for another 3 minutes so that it heats up again. Add salt, to taste. Garnish with spring onions and a sprinkling of white pepper.